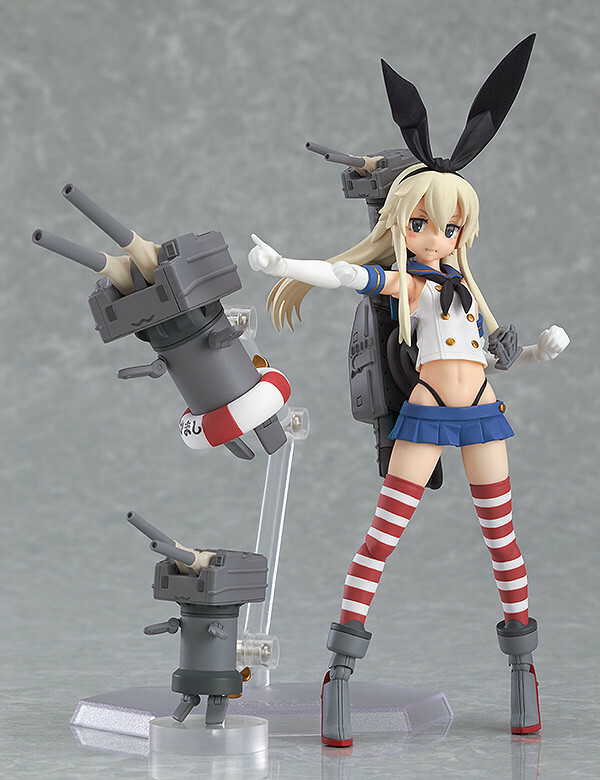 From the popular browser game 'Kantai Collection ~KanColle~' comes a figma of the destroyer class ship, Shimakaze! Three expressions are included: a standard expression, an embarrassed 'damaged' expression and a confident expression. 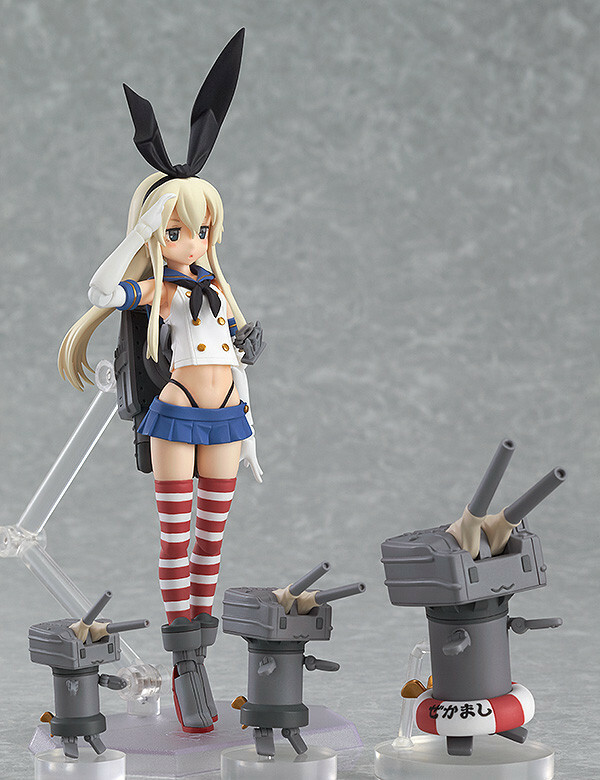 Three different sized versions of Rensouhou-chan cannons are included, the largest of which is articulated! 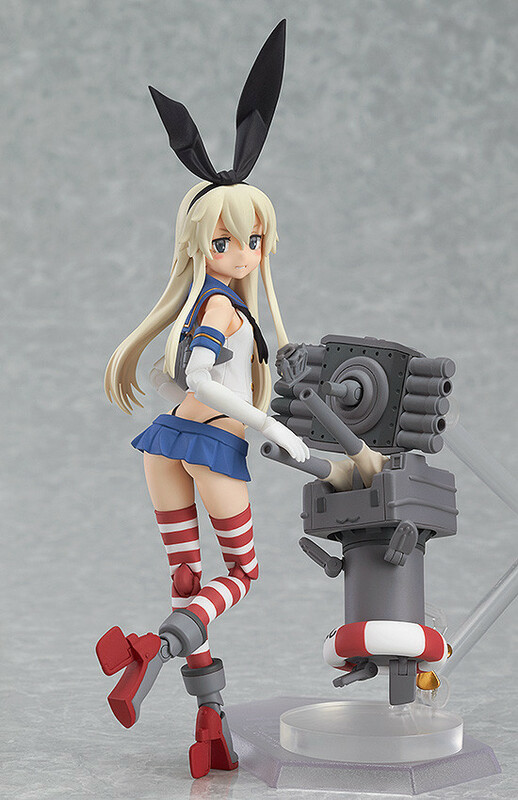 The five-tube torpedo launcher on her back can be attached and removed. 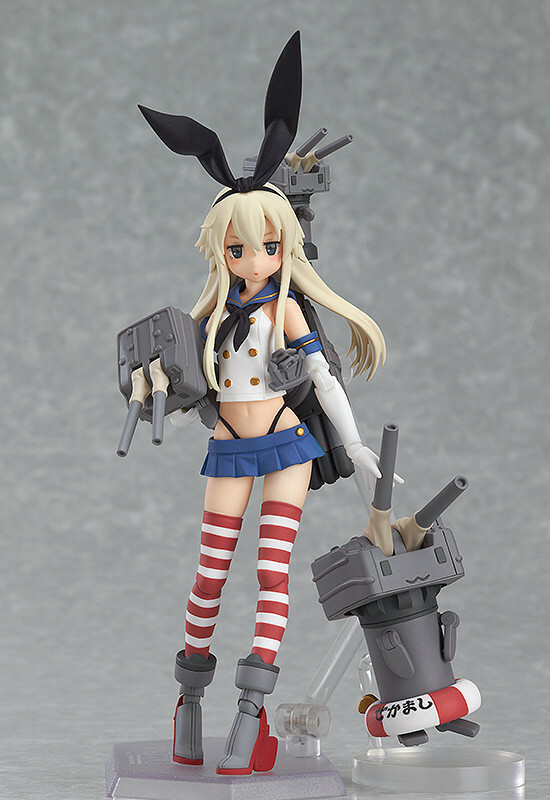 ©2013 DMM.com POWERCHORD STUDIO / C2 / KADOKAWA All Rights Reserved. 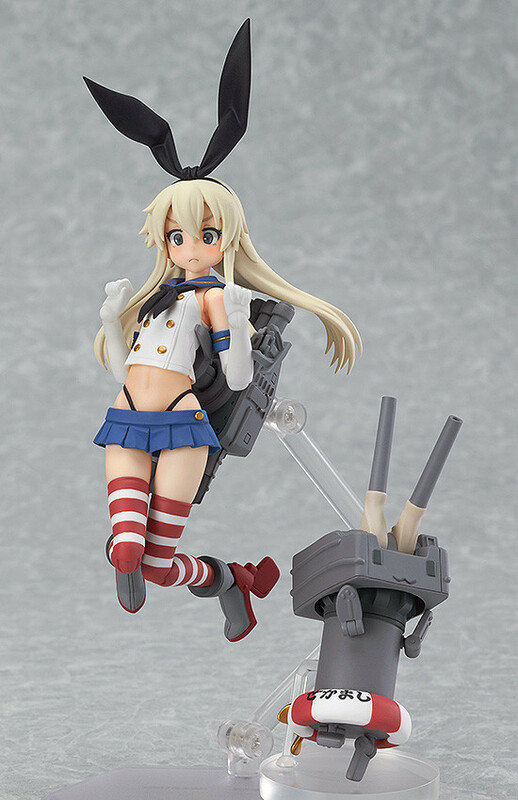 Preorders will be open from 25th February 2014 (Tue) from 12:00JST until 19th March 2014 (Wed) at 21:00JST.